You want to be confident. You want to see the world more clearly. You want to make the person in the mirror smile again and feel great about how they look. That’s what we do. 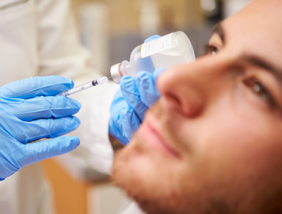 Using the most advanced technology, and with over 20 years of experience as our guide, we’ve established ourselves as leaders in our medical community for these common eyelid procedures. 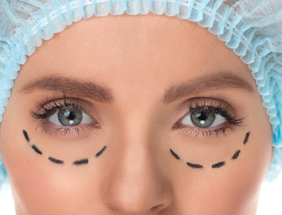 You’ll look better, see better and live better after having cosmetic eyelid surgery by Dr Haas at Boutique Eye Orlando. 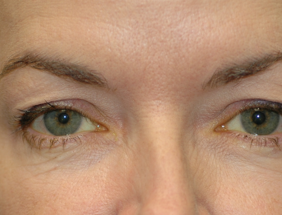 A droopy eyelid is more than a cosmetic issue – it can also cause significant problems with peripheral vision. Sufferers’ muscles work harder to keep the eyelid elevated, often causing severe fatigue. Ptosis can make for long, hard days. Thankfully, relief isn’t far away. You feel younger than you look. Sound familiar? It happens to all of us as we age, and produce less collagen. A simple forehead or brow lift can even the score. It’s a simple, effective way to fight the effects of gravity that produce wrinkles and sagging skin. Our eyelids have a dramatic effect on our appearance, and they also affect our vision. Eyelids can sag, and often do with age, making us look sad or tired and decreasing our field of vision. 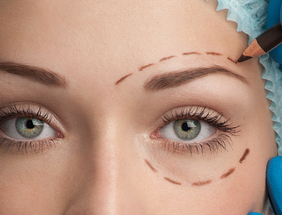 Cosmetic blepharoplasty combats the effects of aging around the eyes. Women are not the only ones who’d like to look and feel better. More men than ever are embracing the subtle improvements that come with minor cosmetic enhancements. No one will be able to tell, but everyone will notice the more refreshed and confident you. Chalazia (styes), cysts, and skin tags are unsightly, but they can also be a sign of more serious conditions like skin cancer. Fortunately, removal is fast and simple, so you can be proud to look everyone in the eye again once you have Dr Haas and Boutique Eye Orlando treat these eyelid problems. 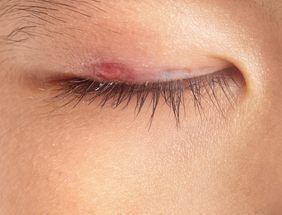 About 50 percent of the Asian population is born without a supratarsal crease in their eyelids. Creating that crease is fast and safe, which is why asian eyelid blepharoplasty is the most commonly performed procedure in Korea. Subtle procedures, dramatic results.